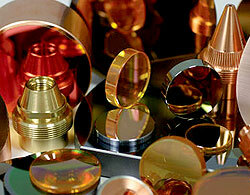 Laser Optical Mirrors | Laser Tools Co. Send quotes with drawings to FAX 501-562-0022. Attn: Optics Department or you can fill out the Contact Us Form with your specific request of information. Laser Optical Mirrors greatly increase the efficiency of most laser-powered tools and equipment. It’s important to think about the following factors when choosing optical mirrors for your business. Choose mirrors offering a high-level of reflective range. Outdoor laser levels require optical mirrors with high reflectivity for extended range and functionality. Optical mirrors for laser applications must feature a damage threshold to handle even the most intense laser wavelength with ease. 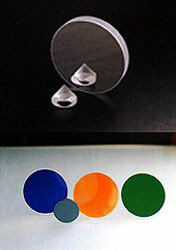 Invest in optical mirrors with durable coating for long-term use. An ideal optical mirror must withstand thermal pressure without breaking or being damaged. Laser Tools Co. takes these important factors into account when designing and manufacturing optical mirrors. We are constantly using the latest technology to make sure our clients have access to reasonably priced, quality products. Send quote requests with drawings or illustrations to fax # 501-562-0022, attention all requests to the Optic Departments for prompt handling. You may also use the Contact Us Form together with the complete details of your specific requests or additional concerns and we will get back to you as soon as we can.